Posted by Eric Lee on May 5, 2010 at 8:13 am. 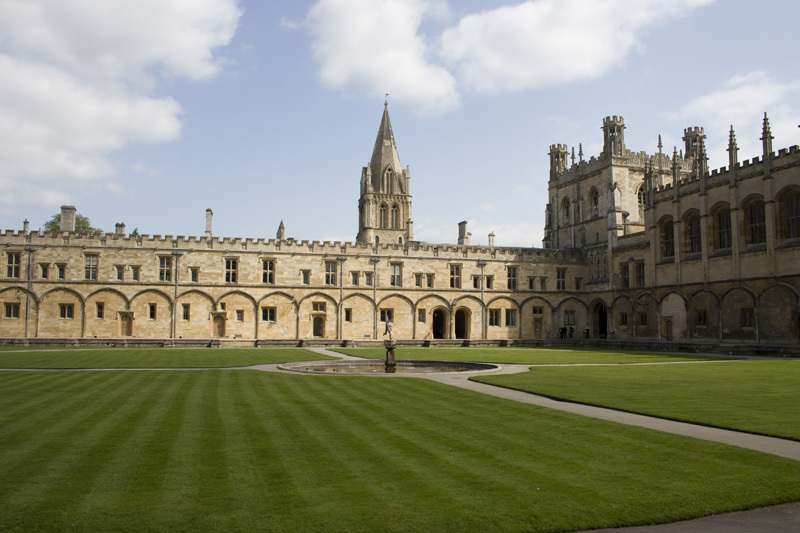 Oxford’s Christ Church College, where the Kierkegaard Upbuilding Discourses Conference was held. Two and a half weeks ago I had the pleasure of attending and presenting at the ‘Kierkegaard’s Upbuilding Discourses’ Conference in Oxford at Christ Church College. I’m a bit behind on posting this, but today is Søren Kierkegaard’s 197th birthday so I thought I should at least owe that to him. Sadly, the volcanic ash cloud prevented a quarter of the European/Danish Kierkegaard scholars from attending and presenting. At the last minute, conference organizers George Pattison and Matthew Kirkpatrick had to revamp the entire conference schedule to account for the disruption of the absence of a significant portion of the conference delegates. Notwithstanding, the event itself was incredibly fun and very lively. I had the honour of meeting and interacting with some of my favourite Kierkegaard scholars, including Joel Rasmussen, John Lippitt, Clare Carlisle, and George Pattison — as well as meeting a crew of up-and-coming very passionate Kierkegaardian scholars in their own right. 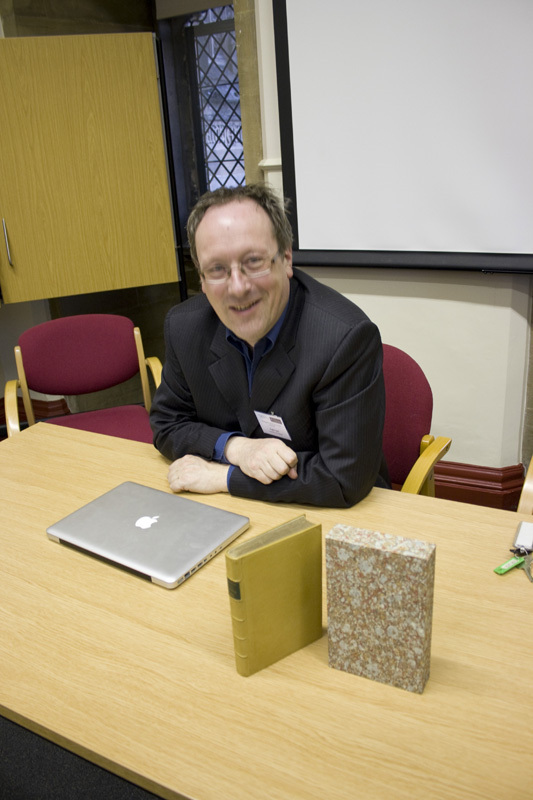 George Pattison is one of the only scholars in the English-speaking world to write extensively on the whole of the Upbuilding Discourses (aside from say Amy Laura Hall, C. Stephen Evans, and M. Jamie Ferreira who have written specifically on the Works of Love which Pattison places within the ‘Discourse’ Literature), and acted as the guiding voice of the conference, helpfully providing insight into just about any specific point of Kierkegaard’s writings, especially issues of translation. Pattison is in the process of translating a selection of the discourses himself, continuing in the recent tradition of M. G. Piety and Alistair Hannay (e.g., SUD, FT, and CUP) of providing new translations which correct and build upon the Hong translations with which we are already so familiar. Of all the helpful points that Pattison offered, one of the suggestions that struck me was that Kierkegaard is nearly always over-looked in 20th-century discussions of ‘the gift’. All of these writers know the pseudonymous Kierkegaard, but by overlooking his discourse literature, they have missed three discourses on gift, which are all named around James 1:17 : ‘Every Good and Every Perfect Gift Comes From Above’. My paper was entitled ” ‘Practising Life in Death’: Equality, Stillness, and Earnestness in Kierkegaard’s Upbuilding Discourses.” The theme for the conference was the Eighteen Upbuilding Discourses and the Three Discourses on Imagined Occasions, so my paper focussed primarily on those two texts, but brought in the work of Eastern Orthodox theologian John Behr at the end. (e-mail me or post a comment if you’d like a copy of my paper.) 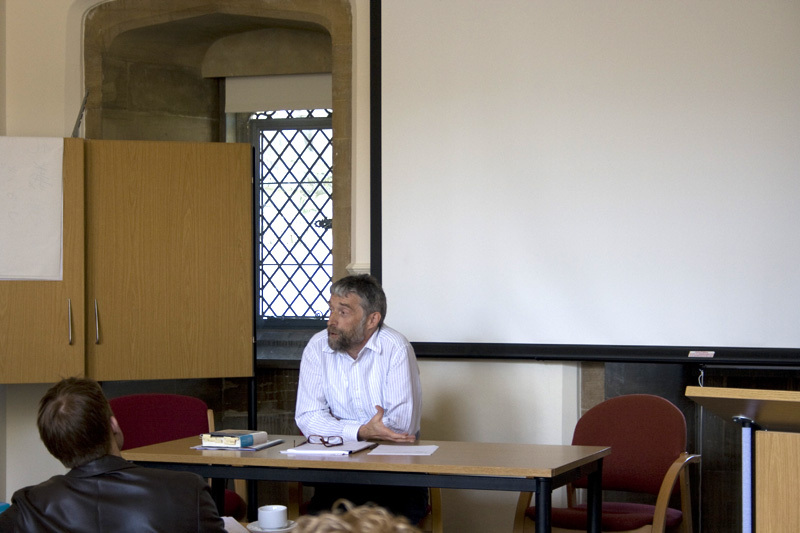 I had a couple of good questions, one from Steven Shakespeare who simply asked if my inclusion of John Behr was something inherent in the ‘At a Graveside’ text in the Three Discourses. The short answer is that the Christological element was my own ‘leap’, my own creative addition onto the text where I think Kierkegaard very well could have gone, especially considering that the discourses are within the ‘direct communication’ of Kierkegaard’s authorship (not to mention the fact that the previous paper delivered by Paul Martens on a couple occasions raised the very point that Kierkegaard seems vague as to where he’s actually going in this discourse). All this suggests I should have just made that blatant in my introduction. 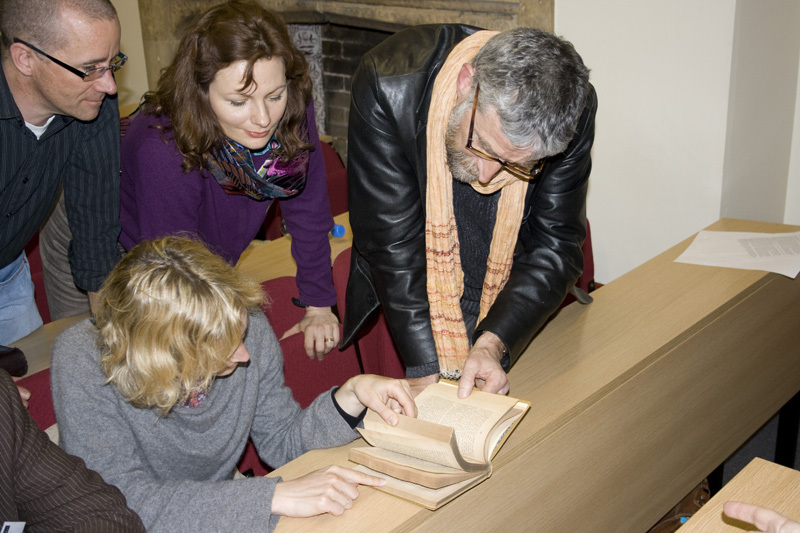 On the final night of the conference, Dr Hugh Pyper made a presentation about a certain old text he had rebound. He shared an e-mail from the bookbinder (is he an ‘hilarious’ one?) about what all went into the rebinding of this text. The text Hugh had rebound was a first edition of Søren Kierkegaard’s Atten Opbyggelige Taler, or Eighteen Upbuilding Discourses. It was a pretty incredible text to behold. Pictures are below. Eighteen Upbuilding Discourses title page with owner’s signature. But who is it? On the title page is written what looks like “P. Kierk.” Hugh thought for a while that this may have been one “P. Kierkegaard”, that is, Peter Christian Kierkegaard, Søren’s brother, which would explain why the text was in fairly good condition (Peter Christian was known to not read the books on his shelves). After consulting with Arne Grøn, however, Grøn suggested that the signature is actually written in a gothic script. If that is the case, then the signature is actually “P. Keck.”, which means we have no idea who that is. Next year will be the second of three conference on Kierekgaard’s Upbuilding Discourses, this time focused on Works of Love and Upbuilding Discourses in Various Spirits. It is scheduled for 29th April – 1st of May and will be held at the University of Sheffield. I’m looking forward to another lively conference, although hopefully with some of the Danish Kierkegaard scholars we missed this time around. 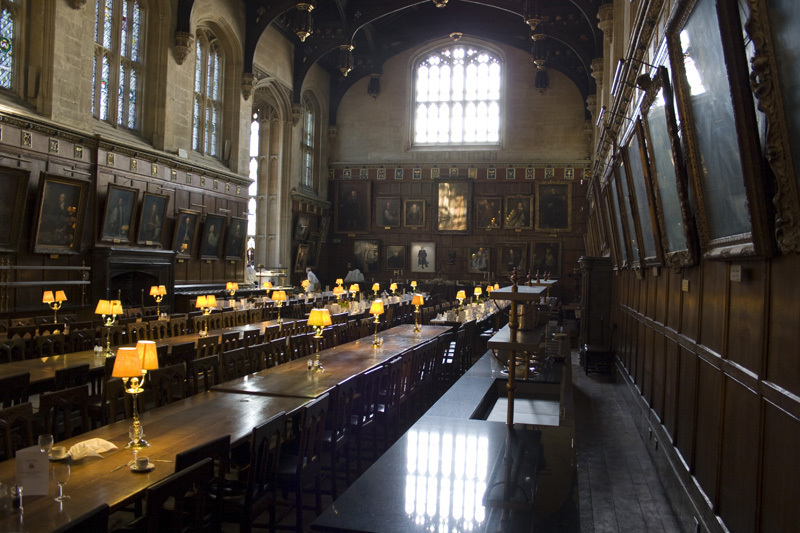 Lastly, George Pattison will be posting the conference papers on the Oxford University Research Archive (see, e.g., these papers from a Heidegger and Religion conference) for the benefit of those Danish and other European scholars who could not make it. Obviously that means that anybody with an internet connection can benefit as well. As soon as George Pattison sends out that link, I’ll be posting it here. Sounds like an awesome conference! Too bad that some were prevented by the volcanic cloud. I haven’t found too many blogs focusing more heavily on Kierkegaard. I just wanted to invite you over to mine if you cared to add any critical or constructive comments. I plan on posting significantly on Kierkegaard in the next while. May I have the pleasure of reading your paper? Interested in your use of Fr. Behr! I’m a filosophy student from spain, actually in Barcelona, and I’m interested in your paper from Kierkegaard coz I’m working in a project about Kierkegaard and the budism. Hello, I’m an undergrad from Houston and I am doing a directed study on the Upbuilding Discourses. I’d love a chance to read your paper. I’d also be very interested in hearing any advice you might have in reading the discourses. I read Pattison’s book over the holiday break. Are there others you would recommend? Any general insights you wish to share will be greatly appreciated. Thanks, J. I’ve sent you an e-mail. I’m a PhD student (philosophy) at Syracuse University writing on Ved en Grav. It would be great to read your paper. has pattison sent out the email? Actually, he never posted them on the site, but e-mailed one big document to the conference delegates that contained all the papers. I can send it your way if you want. 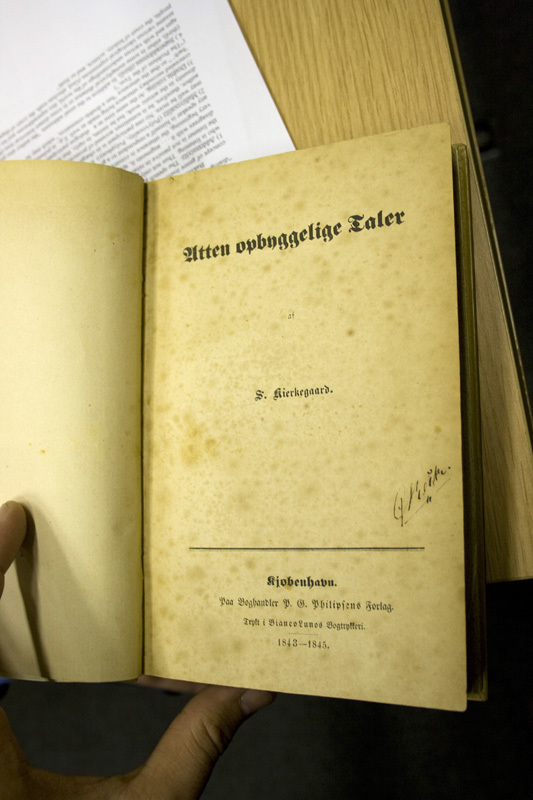 Always hungry for more about Kierkegaard, so any attachment you send me, please,will be eagerly scanned.